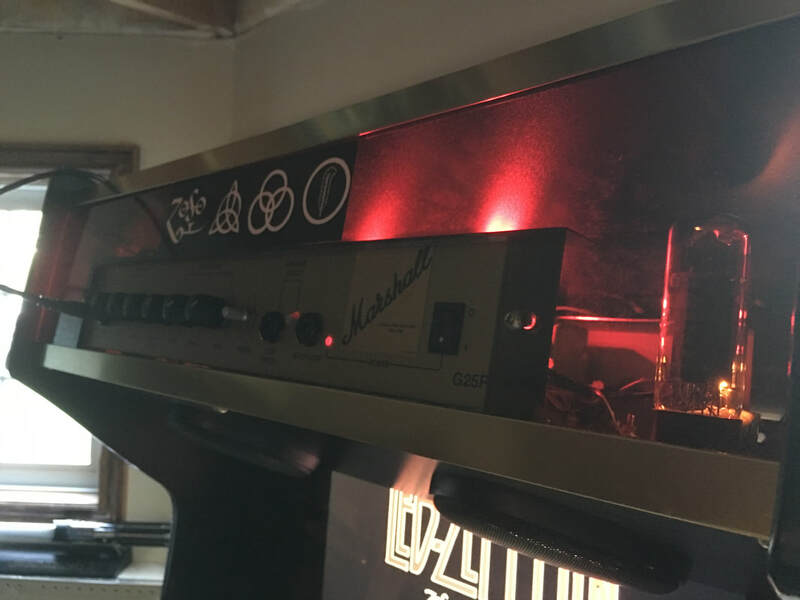 Fully working Marshall Guitar Amp with Led Zeppelin arcade. 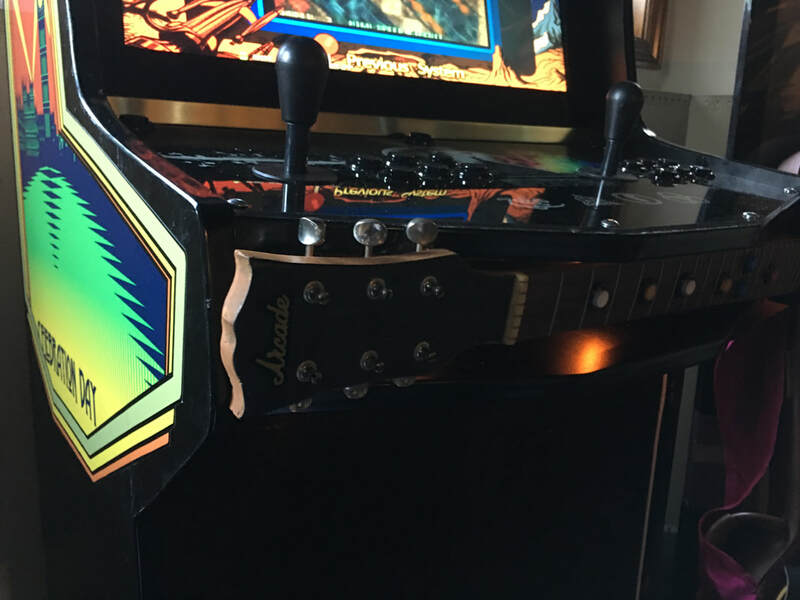 Gibson guitar neck integrated with all control buttons. 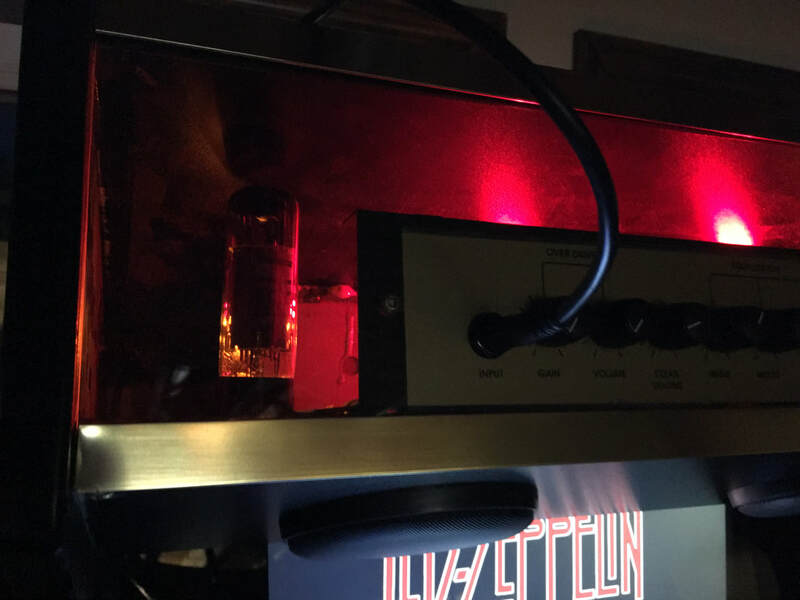 Custom LED lighting. 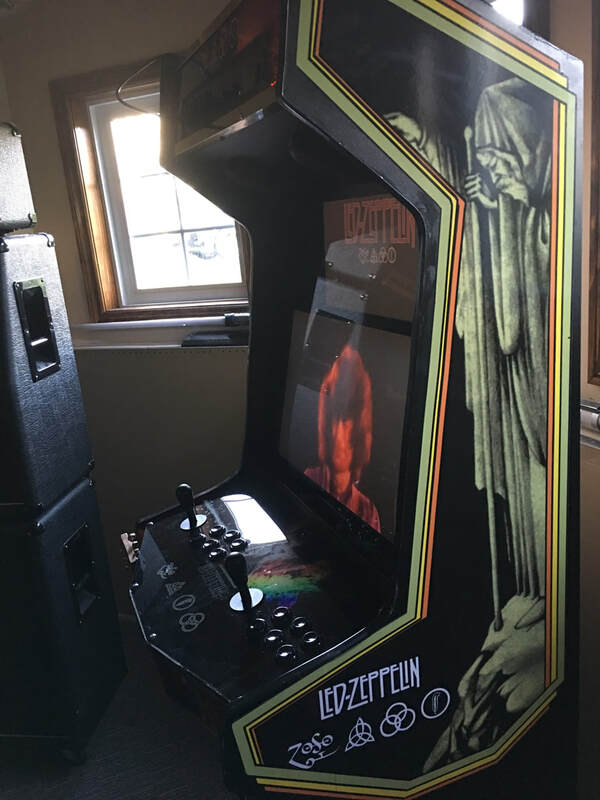 Dual monitors with live marquee. 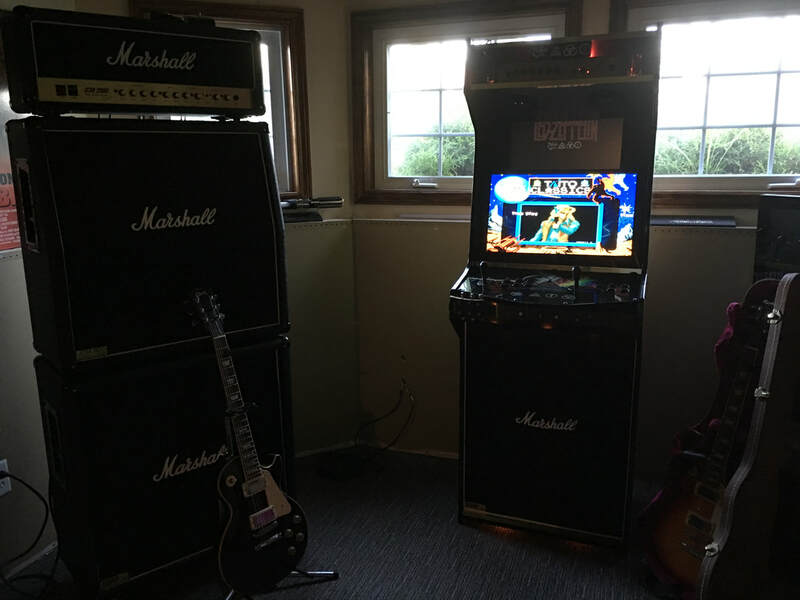 Built with a Marshall Guitar AMP, Two monitors 24" and 22", Guitar neck I integrated the buttons for player 1 and 2 coin and start. 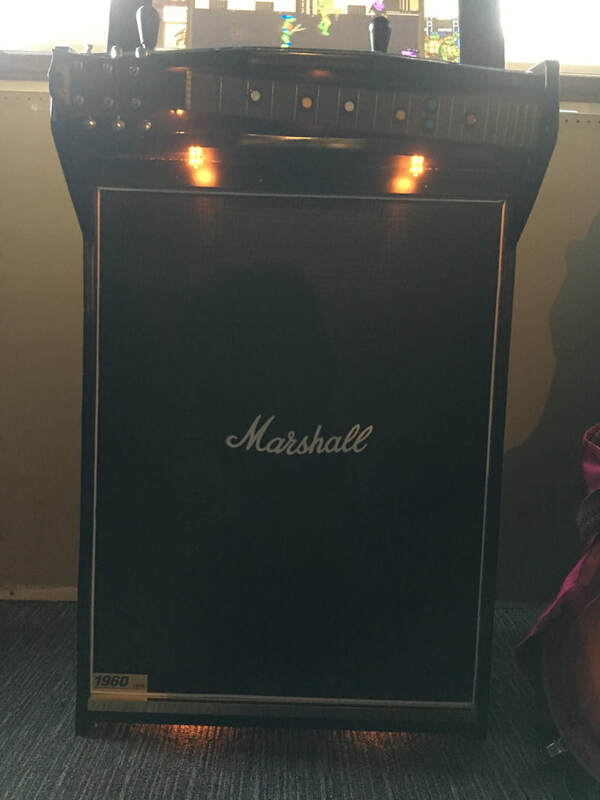 I also added power and volume control in the neck. 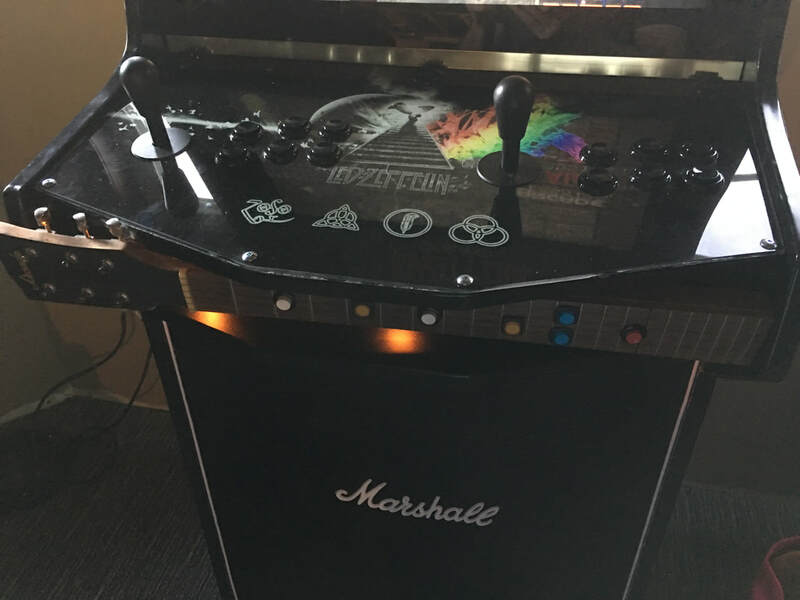 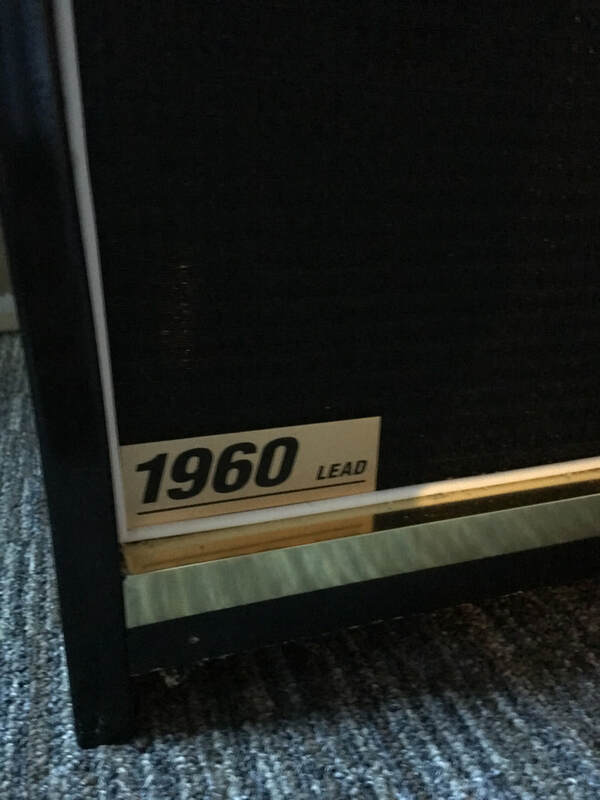 This cabinet you can use as both guitar amp and also as a... well a arcade.